Yesterday we revealed Facebook Retargeting Hacks To Maximize Sales. 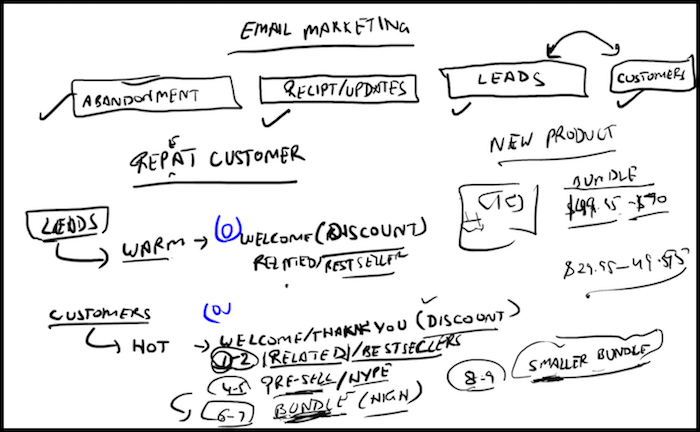 Today we cover basics of “Email Marketing” for a successful Shopify store. If you’re an internet marketer, I don’t need to preach about the importance of email marketing. Odds are, this was one of the first digital business concepts you grasped and mastered. However, while everybody and their step-mon utilizes email marketing for their blogs, ebooks or services, it’s mind blowing how overlooked it is when it comes to Shopify stores. We address this by giving you ninja tips to absolutely crush email marketing for your Shopify store. Before we dive in, I invite you to install Orderly Emails, which is a paid ($47 one time fee) Shopify app providing customizable email templates for your store. It’s what we use for Common Panda and has every email template you’ll ever need from shipping details to special offer emails, Orderly has you covered. Normally we’d use SendLane for our email marketing needs, here at FSO. 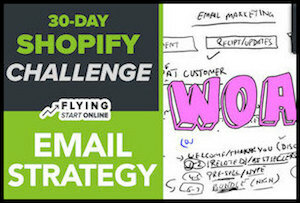 But when it comes to Shopify, we must tip our hats to MailChimp and go that route. 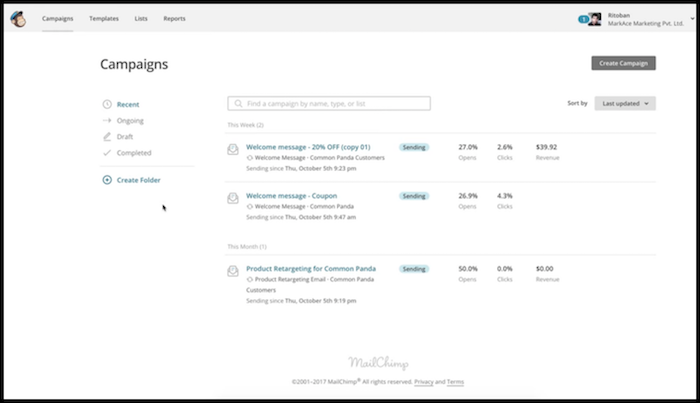 MailChimp and Shopify are heavily and seamlessly integrated with on another. With just a few clicks, your store can be completely integrated with MailChimp. This means you’re always just a few clicks away from your customers and leads. This is a easy way to instantly increase sales revenue. The people who abandon their carts already showed great interest in specific products. The most common reason for a lead to leave the cart without completing their purchase is due to the price. We solve this by automatically sending out quick emails containing discount codes and a link back to their abandoned cart. This should be standard and immediately upon sign up or purchase. Whether somebody is signing up for your newsletter or has just completed a purchase, you should be immediately interacting with them via email (autoresponder). When somebody signs up (lead) welcome them to the site, give a short intro and offer them a discount for joining to encourage their first purchase. After somebody does make a purchase, discount or not, you need to send a thank you email. Doesn’t have to be fancy it just needs to be genuine. Somebody just gave you money for something. Be grateful and express as much to your new customers. We will usually set these emails to go out 1-2 days after a customer has purchased. Since you already know what your existing customers are in to, entice them to purchase something else that’s similar or complimentary to what they already bought. Displaying your best sellers shows them what other people find awesome, and the fear of missing out sets in, which is a huge purchase trigger for many. This particular email gets sent 6-7 days after the customer completes a purchase. Once again focusing on your existing customers because we know the most about them which makes them our hottest leads. This time we are offering them a bundle deal on some related products. The value of the bundle should be between $40 and $75 dollars. Be sure to point out the immense hookup they’d be getting if they act immediately or within whatever time frame you implement (scarcity). Receipts and updates should be sent to customers immediately. This should go without saying, but for the sake of this Bizathon, I am going to say (write) it. ALWAYS email your customers a copy of their receipt and any product updates should they ever arise. This is not only courteous and professional, it’s the right thing to do. That’s it for Day 24 – Well done! P.P.S. Click here for Day 25!